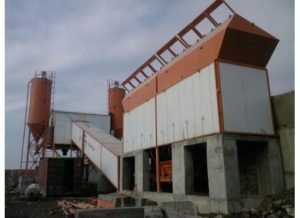 The mixing system of a commercial concrete mixing plant is divided into forced mixing and self-loading mixing according to its mixing method. Compulsory mixers are the mainstay of domestic and international mixing stations. They can mix various types of concrete such as fluidity, semi-rigidity and dryness. The self-loading mixing machine mainly stirs the fluid concrete and is rarely used in the mixing station. Forced mixers are divided into master planetary mixers, single-shaft mixers and twin-horizontal shaft mixers according to their structure. Among them, the twin-shaft forced mixers have the best overall performance. 1. When the commercial concrete mixing station is stopped for maintenance, the fuses in the switch must be removed and the gates must be locked to ensure production safety. 2. The operator of commercial concrete mixing plant must wear masks and sleeves. 3. Commercial Concrete Mixing Station When the concrete mixer suddenly loses power or fails during full-load operation, the switch should first be pulled down, and the concrete in the mixing cylinder should be manually removed. It is not allowed to start the mixer with a load in case the current is too large to damage the motor during starting. 4. If the power of the concrete mixer of a commercial concrete mixing plant is more than 5 kW, the starter must be installed. At start-up, if an arc, a fire, or a sudden drop in voltage occurs, the start-up should be stopped immediately, and the power must be turned off for inspection and repair. 5. The operation of the electric mixer of the commercial concrete mixing station must be easy to stand on the operating table with wood panels. 6. When the hopper is raised, it is forbidden to work or pass under the hopper. When the hopper of the hopper needs to be cleaned or under the hopper, it must be in contact with the operator and wait until the hopper is fastened with the chain. 7. It is forbidden to repair and maintain during operation. It is forbidden to use tools to reach the mixing drum to pick up mortar or discharge material. 8, the bottom of the foundation pit to be laid grass bags, as a hopper pillow. When the hopper lands near the ground, it should be stopped slightly, and then put it in the end so as not to damage the hopper too quickly. 9. When the hopper is raised, the fresh water valve should be opened to place some water. 10. 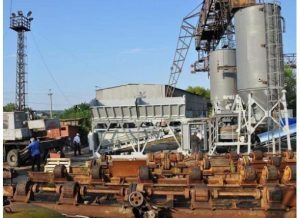 When the commercial concrete mixing plant is turned on, it should wait for the normal operation of the motor and then push on the total clutch. The first empty machine runs for 2-3 minutes. For example, the mixer shaft of the concrete mixer rotates steadily and does not fluctuate or run without any abnormal influence on the hopper. Only when the opening and closing of the material door and the material door are flexible, can they work. This entry was posted in Solution and tagged Notes on using rmc plants, Precautions for concrete mixing plant, rmc plants in Bangalore by camelway. Bookmark the permalink. 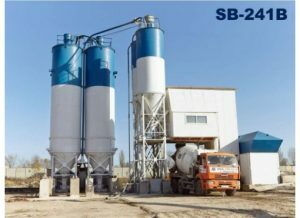 How to Use the Cement Silo of Concrete Batching Plant?